Goat meat pepper soup is another Nigerian delicacy that is highly medicinal with aromatic spices which can be eaten any time of the year especially during time of recuperation after illness and child birth. Thyme is used as seasoning ingredient in preparing goat meat pepper soup. 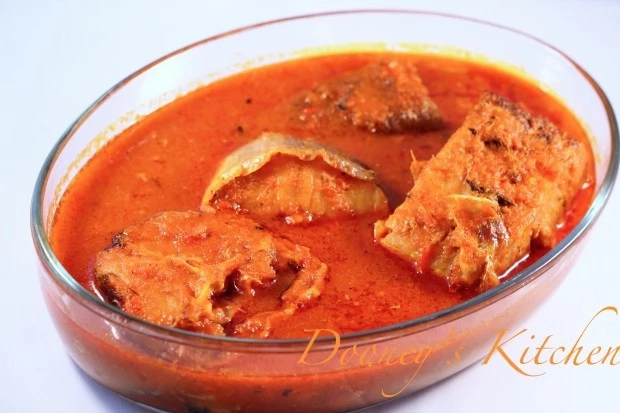 It gives your pepper soup that classic taste and aroma, though care should be taken not to over – apply it, otherwise it will suppress the taste of other ingredients used in cooking the chicken stew, so when applying it should be done with caution because too much of a particular thing spoils the food no matter how sweet it is. In order words, thyme should be applied moderatelyin cooking goat meat pepper soup. Pepper is yet another useful ingredient in preparing goat meat pepper soup, it gives it that peppery taste, and makes the soup sharper in taste. Dry ground pepper is most suitable for the cooking of goat meat pepper soup, though other species can still be used depending on the way you ground it. Onions just like you find in other dishes, onions is vital in cooking chicken stew, it makes the stew or it gives the stew that sassy taste. Onions can be put more than one times in the course of cooking the goat meat pepper soup. It can be put intermittently as the cooking goes on. 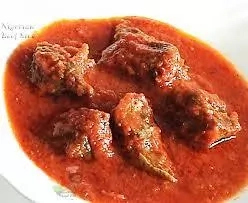 Without it goat meat pepper soup may not be that enjoyable to the mouth because it will not be that tasty as you expect it to be, despite the presence of these other ingredients. Onions comes in different types, we have the white onions and the red onions. Each of them has its unique flavor it adds to any dish you may apply them to. The white onions is mainly used in preparing such dishes such as fried rice, jollof rice, different types of stews including chicken stew, etc, while the red ones are used mainly in preparing different types of soups. Crayfish is another important ingredient in preparing goat meat pepper soup, it is as well a source of protein and gives the goat meat soup that crayfish taste. 3. 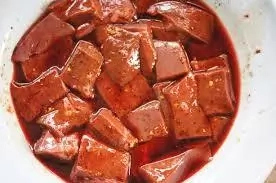 Place the pieces of the goat meat in a pot and pour enough water to cover the contents of the pot, add the stock cubes,thyme and onions and cook till done.